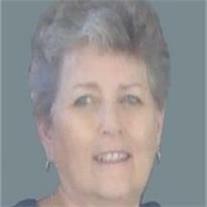 Penny L. Sarmento, 62, passed away May 4, 2011 in Phoenix, AZ. She was born June 15, 1948 in Casa Grande, AZ. Her life’s work was caring for her husband, family and friends. She enjoyed reading, crafting, golf and loving her husband. She is survived by her husband Harry, parents Richard and Virginia Soulé and many other family members and friends. Funeral services are Tuesday, May 10, 2011 at 11 AM, at the LDS Islands Ward, 1150 W. Elliot Rd., Gilbert, AZ 85233. Those wishing to make donations please contact Bunker’s Garden Chapel 480-696-6883 for details.